Just launched is a brand new fireplace for the modern dolls house. 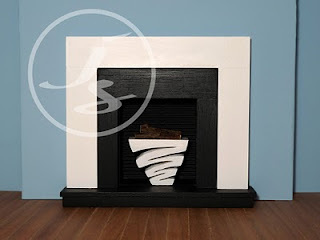 If you want to be the trend setter of the dolls house world then this fireplace is for you! A contemporary design based on it's full size counterpart, let your dolls house family put their feet up in front of the crackling log fire and enjoy the comforts of their modern home. The log fire looks best inset into a chimney breast but this is not essential. Updated Website & Special Offer!